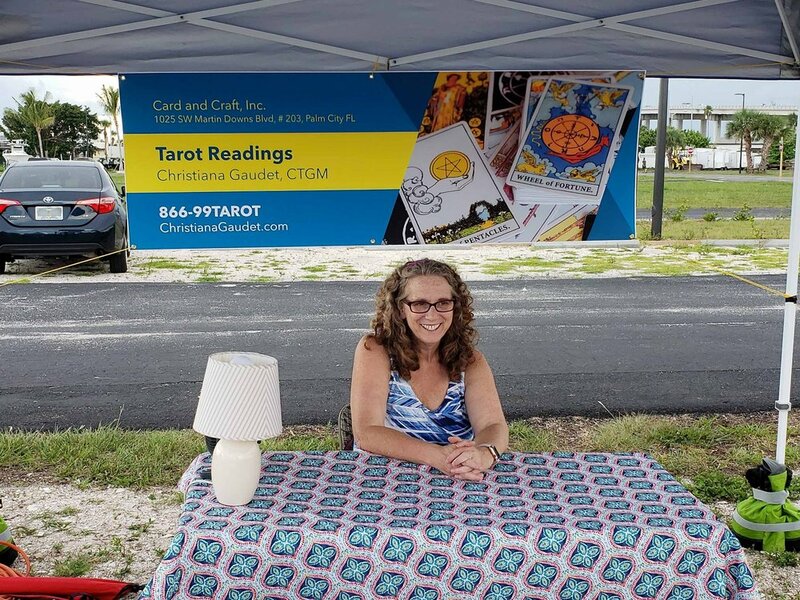 I was excited to be a vendor at Cosmic Barley's Dyer 4th of July Blow Out on the Water at the Causeway Cove Marina in Fort Pierce. What a wonderful celebration, including music, food, and a variety of interesting vendors. The festivities culminated with the Fort Pierce fireworks over the water, and the band Man Made Weather. Though the actual weather wasn't perfect, the mood and the music were. 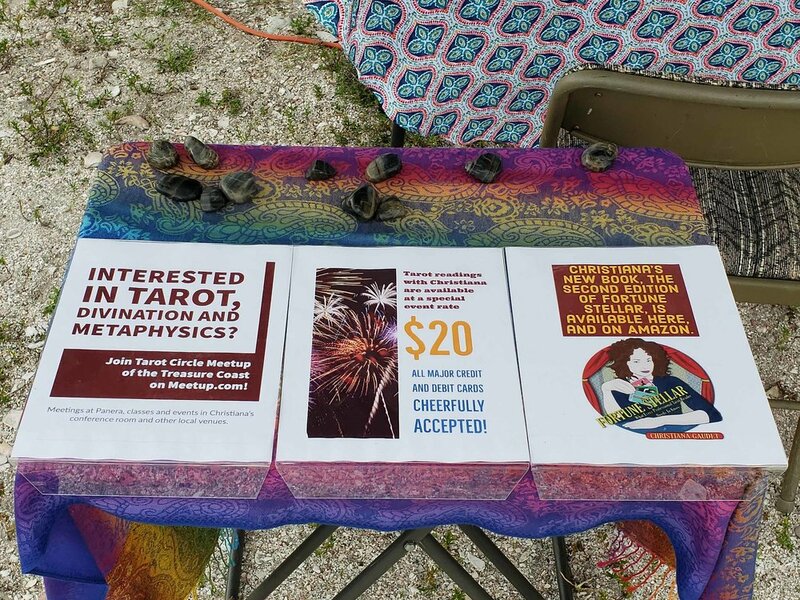 I saw old friends and made new ones and enjoyed giving readings under my vendor tent. Offering readings outside, under a canopy, certainly isn't as comfortable as my lovely office. However, there was something wonderful about reading in the open air, near the water, on such a special holiday. I love working this kind of event for two reasons. First, it's fun to be part of a festival, or a celebration. I enjoy the music, I love to shop with the vendors. This time, the food vendors got my attention - no regrets there. 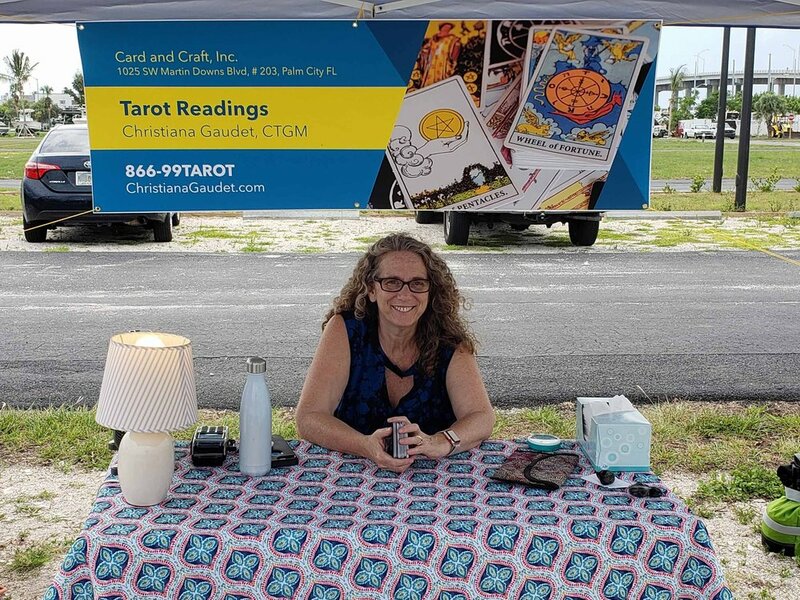 The second, and maybe most important reason is that it allows me to connect with folks who might not otherwise be exposed to the magic and mystery of tarot reading.